Farnborough, United Kingdom – AERO Vodochody, a leading Czech aerospace company and one of the biggest light jets manufacturer in the world, and RSW Aviation, a one of the top military training providers in the United States covering training for military forces worldwide from ab initio to operationally qualified stage, signed today a Letter of Intent for delivery of 12 L-39NG Aircraft and also additionally upgrade of 6 legacy L-39 into the L-39CW variant allowing rapid introduction of the L-39CW/NG into service with RSW. 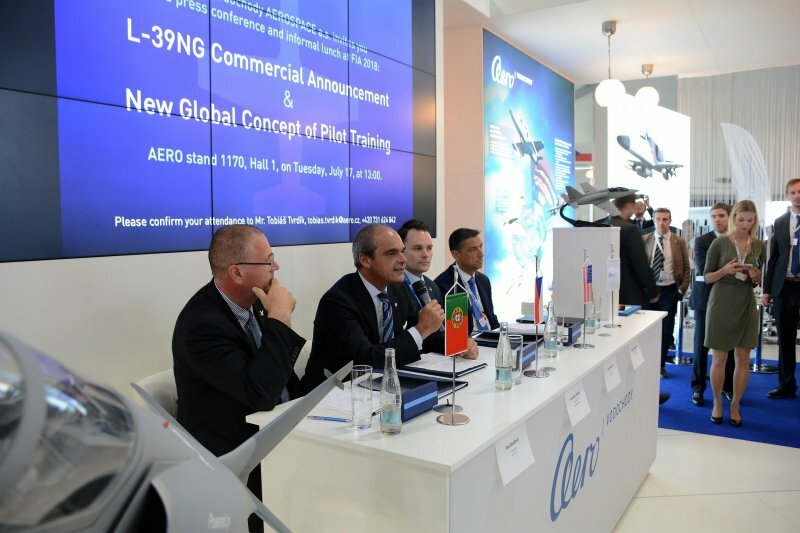 L-39NG/CW fleet will be made available by RSW for various customers in its US based training academy allowing training from ab initio stage up to the operational clearance level. The L-39NG is being certified using the European Military Airworthiness Requirements (EMARs) and thus brings a true compatibility and interoperability within EU and NATO operators avoiding any additional certification and cross-border processes. The L-39NG fleet LoI includes a set of state of the art simulators and debriefing devices for effective training and learning process. The AERO-RSW cooperation is a key element of AERO’s global strategy for cooperation with other selected partners offering unprecedented availability of jet training to any Air Force in the world who want the latest platforms but are facing cost restraints. Aero and RSW furthermore agreed on implementation of unique RSW and its affiliate companies skills in terms of military systems integration into the L-39NG/CW fleet. For overseas customers RSW will be also authorized to perform an operational support of their L-39NG fleets. Giuseppe Giordo, President & CEO of AERO, said: “Today represents a significant milestone for AERO, because through this LoI, we are developing a strategic partnership with RSW. Through this partnership, we will be delivering to RSW 12 L-39NG but also 6 L-39CW, increasing the production backlog of AERO up to 38 new aircraft.” Giuseppe Giordo commented the cooperation with RSW Aviation as a new era of the jet training, as the RSW unique fleet composition including piston and turboprop aircraft with similar avionics concept allows to the operators to select an ideal mix of flight training with experienced USAF and USMC instructors for gaining maximum knowledge and expertise within reasonable budget. 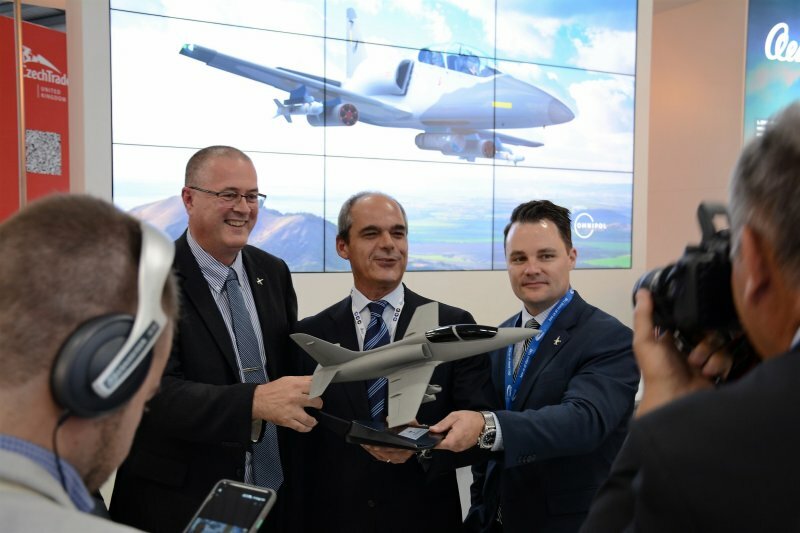 “We have identified a lot of synergies between the RSW customer oriented approach and the capabilities of L-39NG and are proud that RSW selected the L-39NG as a corner-stone of its lead-in training capability,” add Giuseppe Giordo. RSW Aviation LLC provides world class CONUS and OCONUS, full service military pilot training and aircraft maintenance. With a fleet of L-39s, Shorts Tucano, Cessna 172, Bell 206 and King Air aircraft along with infrastructure and support in the United States, RSW provides unparalleled military pilot training at exceptional value. The key to RSW Aviation’s success is a deep focus on tailored solutions as it pertains to training and contracting. RSW Aviation LLC offers both long term and short term (augmentation) training solutions specific for each customer. OMNIPOL a.s. is a Czech investment and defence company and long-term partner of AERO Vodochody AEROSPACE with a long tradition since 1934, which was accountable for exporting more than 2700 units of the L-39 aircraft worldwide (more than 600 L-39 aircrafts are still in operation). OMNIPOL also invest in perspective domestic companies and defence programmes with high technical and export potential. The OMNIPOL Group currently includes among others the companies ERA a.s. and MESIT holding, a.s. as well as a bunch of their subsidiaries.